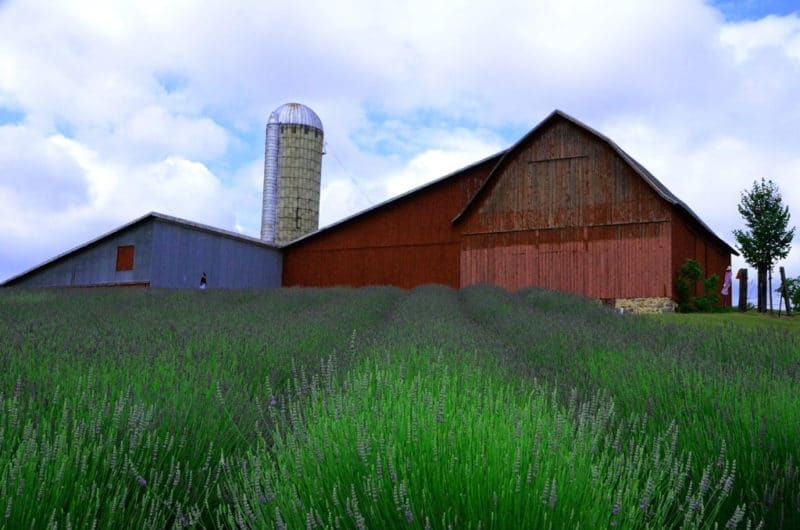 Last summer, when I was intoxicated with the beauty, scent, and flavor of the fresh lavender from Lavender Hill Farms up north here, I thought of this very February day. When seasons are so defined, so distinct, deep, and determined as they are in these parts, the pleasure and wonder of any of them is actively influenced by the season’s foil, its opposite season. So: the winter’s summer, and the summer’s winter. They belong to one another like the chicken and the egg, because one depends on the other for all that it is. This winter, this particularly long and “real” winter, that a summer’s day actually exists here seems impossible, the stuff of a sweet dream. 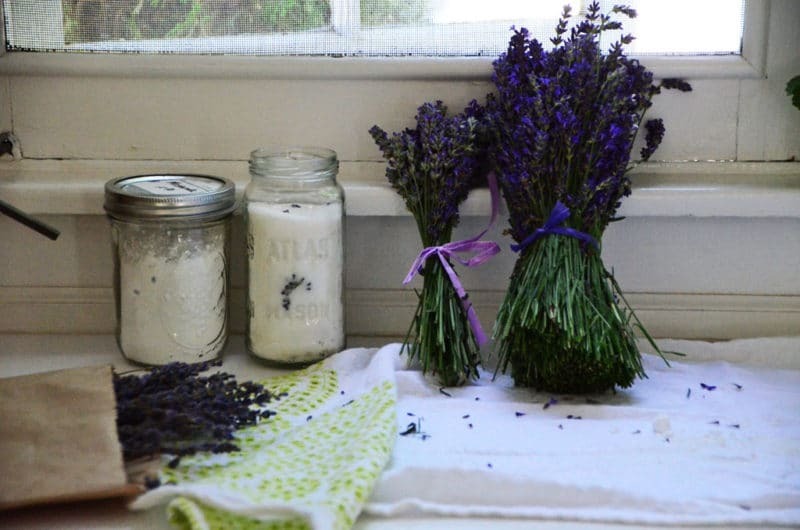 Out at the lavender farm, and then back in my kitchen with the spoils of the abundant lavender harvest last summer, I kept thinking of how one day this winter I would pull out the lavender, breathe it in deeply, and remember. Now here we are, in dried lavender season (dry-everything season) mid-winter. You can imagine that anyone who would write a blog, and then a book, titled Rose Water & Orange Blossoms, has an affinity for the floral, born of Lebanese lines. Subtle floral (emphasis on subtle) can be the most unexpected, evocative flavor, one that reels us into a fragrant and dreamy world outside, in the garden. For the lavender, there are many edibles. My dried bunch is called Twickel Purple. 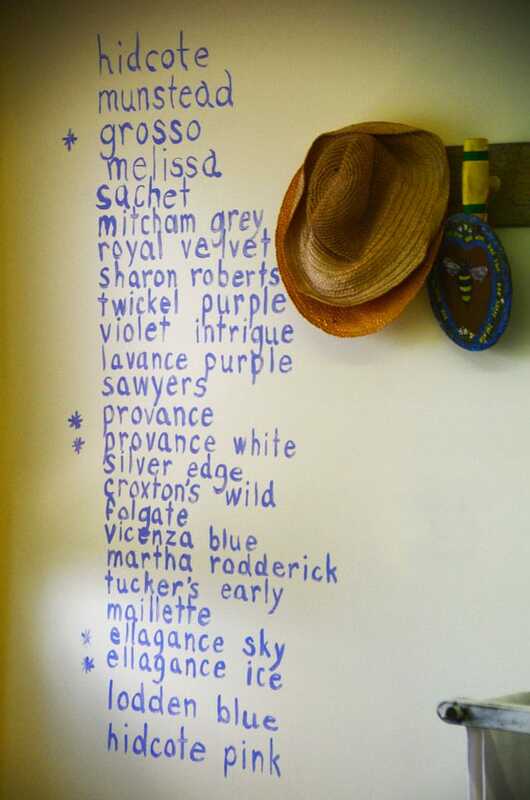 Twickel Purple! The scent perks me up from my snowed-in malaise, which must be why every lotion and unction I’ve used this winter is scented with lavender. It doesn’t take but barely rubbing a finger across a beautiful little purple sprig to release the lavender scent and flavor. 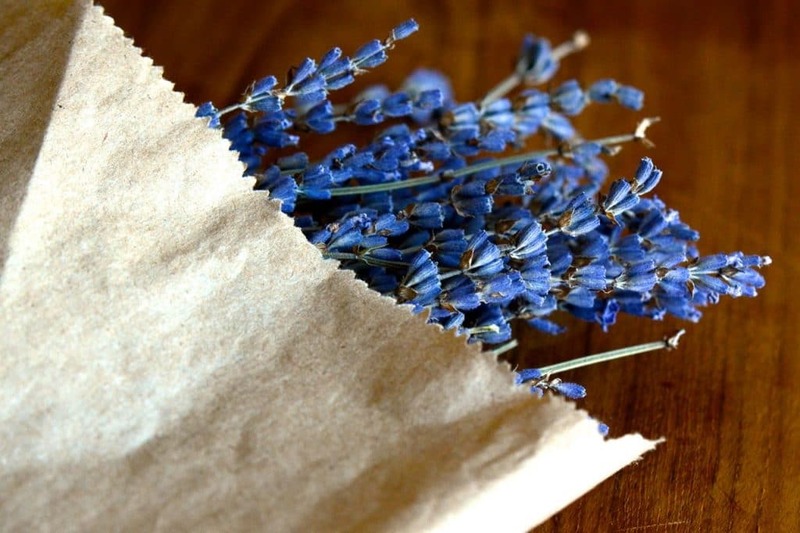 See what you can come up with for a big handful (or a whole bouquet) of dried lavender, please please. Find it online all over the place, including here and here. 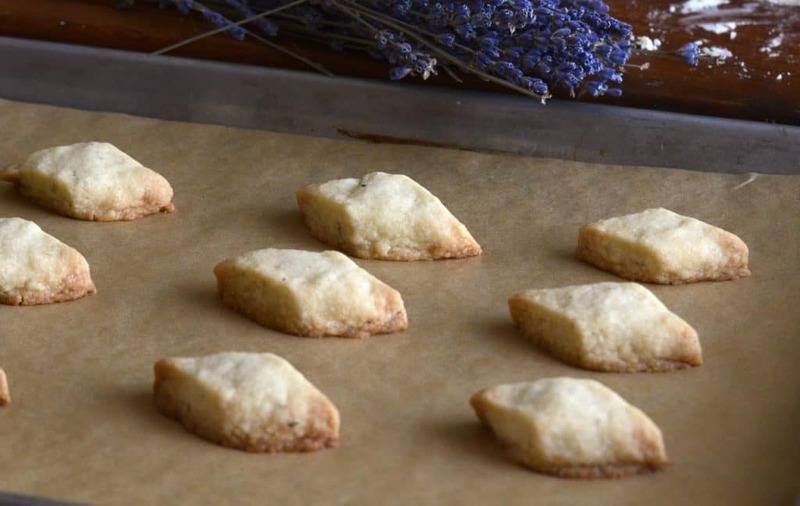 I want you to try our buttery, crumbly, melt-in-your-mouth lavender shortbreads, our Lebanese graybeh, with orange blossom water coming up this week. I will make it worth your weary winter’s while, promise. 4 Responses to "Ingredient: Edible Dried Lavender"
Sharing this blissful lavender aroma with you all the way here to New Mexico! I JUST HAVE A QUESTION. I HAVE TRIAL SEVERAL TIMES TO GROW MY OWN LAVENDER WITH OUT NOTHING. 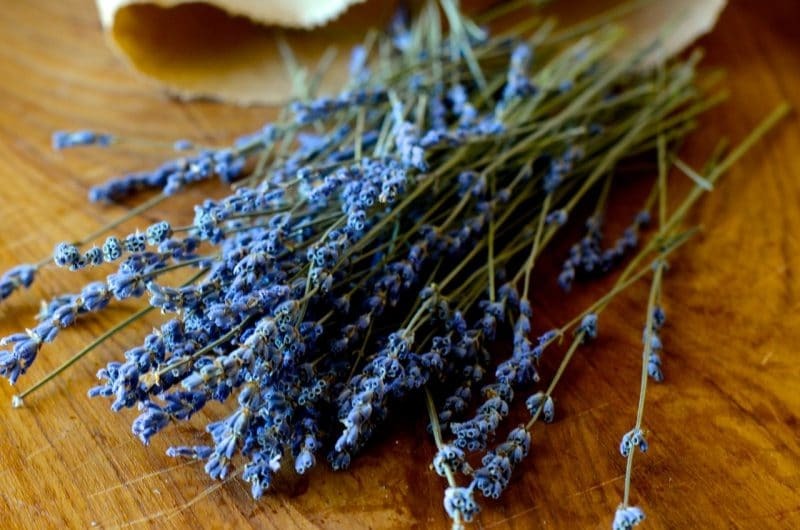 How do you grow lavender? 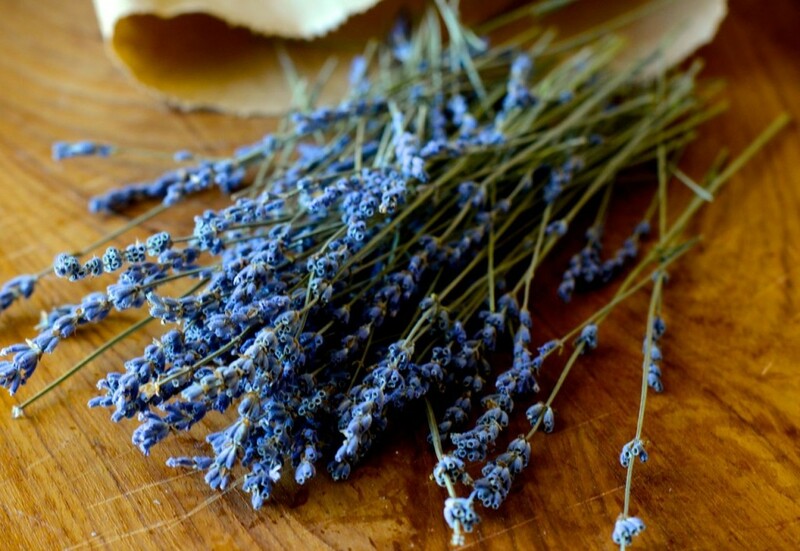 This is such a great post Maureen because there are so few recipes about cooking with lavender. Here is recipe I learned to make in Provence and it has been a real crowd pleaser (and it’s so easy!). I cut up chicken (you can also use just thighs, drumsticks, wings, etc). Arrange the chicken in a baking dish. Drizzle with the honey and olive oil. Sprinkle the lavender and salt and pepper to taste. Cook at 325 F for about an hour and let sit about 10 minutes before serving. Your house will smell great and your guests will be so happy.